George Clooney – the coolest “voice” in space ? 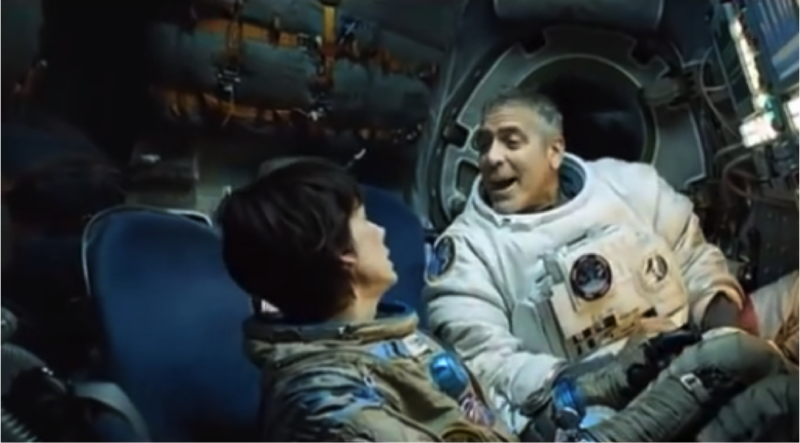 George Clooney, not hearing voices but playing a “voice” Matt Kowalski in a key scene from the movie Gravity. Gives the lie to the “in space no one can hear you…”. Well, in Hollywoodland at least, Sandra Bullock can hear you – or maybe you just have to be George. Spoiler Alert: Clooney plays Veteran astronaut/cosmonaut Matt Kowalski who dies a few minutes before this scene, yet comes to the aid of his colleague Sandra Bullock’s character Dr. Ryan Stone as a “vision”, “presence”, “voice”, “spirit”, “ghost”, “hallucination”- or whatever you want to call it – to coach her through the reentry routine. It’s a story, a movie – but take away the space scenario and substitute any other of your choosing to reveal that this is a surprisingly common human experience – so common that it’s become a cliché, a commonplace in even hollywood movies never mind more artful fare. How common? 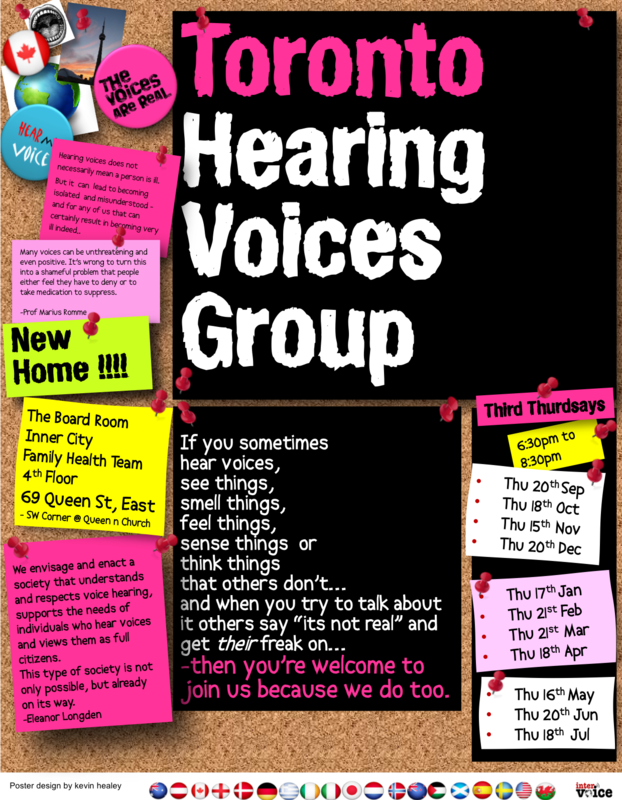 well, in one study almost 50% of people in a long-term marriage reported that they heard, saw, or otherwise sensed the presence of their deceased spouse – and most reported that they found it comforting and were disappointed if the voice later went quite. That’s not “mental illness”, that’s just cool. “but, but, but”, say the tutt-erers..
Now, many a self-described “scientist” or some such will opine and argue that there’s a difference between such helpful “visions” and that unhelpful kind experienced by those who find themselves diagnosed with all manner of categories of human failing. They would, wouldn’t they ? since that’s how they justify their funding and position in society. But what if the real difference in these experiences arises not from the differences between the experiences themselves but from whichsoever category the pointy heads, in their wisdom, categorize and assign because it best fits their needs more than it fits ours? The only difference, or better: maybe the biggest difference is simply that the person who is struggling has yet to find a way to make sense out of whatever it is they experience. Maybe the biggest difference is in the stories that we tell a person who with grappling with weird and struggling – and that and whichever explanations have thus far been proffered or coerced upon then simply don’t make sense..? Maybe the biggest difference is that a person who is struggling has yet to find people who can help them make sense of their own unique experience – their own version of weird world. Now, if weird comes to you as George Clooney breaking into your bubble, smiling and reminding you how to reenter your crashing spaceship then it’s likely not too hard to regard that as somewhat helpful. 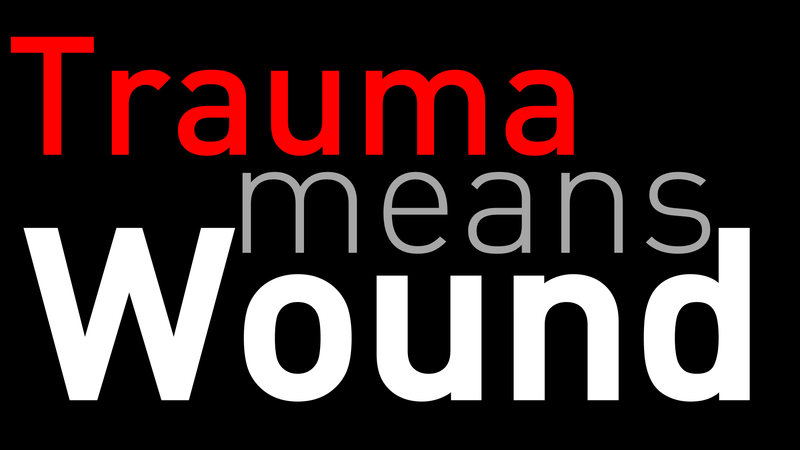 Less so if it weird comes in the form of a “perpetrator voice” of a person who at some time had power over you, yelling obscenities and demands, transporting you in a flash, back to some painful time that your conscious self has worked overtime since to delete or bury. One of the hardest things to deal with when life gets weird and we find ourself being sucked into the wormhole is the way that people around us lose their ability to listen, and simply catalogue us into some sub-category of the big category marked “broken”, “scary” and “dangerous”. We are cast adrift, lost in space one more broken, hopeless “case”, drifting in space. What if the real sickness in “mental illness” is not within the individual, but within some collective inability or refusal to accept that every one of us is uniquely weird and does have experiences everyday for which the best descriptor is: “weird”? It is time for some new stories. What if, instead of trying to force narrow-based beliefs up folks who are already struggling we accepted that life getting too weird to handle right now can happen to any of us, that it can and does pass – and when it does pass people who’ve been through it find at least some and often much value in the experience? This might lead us to a whole universe of different approaches less obsessed with more of the old fixes that fail, or the game of our pet theory is superior to your pet theory – and more rooted in helping people learn to get comfortable and able to handle, living in a weird, weird world. Learning to accept weird experiences, make sense of and incorporate them, and, yes, even value them is harder – way harder – than taking a pill. But it can also be way more fun and empowering. For some of us on that journey, we have come to realize that the weirdest experiences we had were during that time when we believed that such a narrow-minded “mental health system” as we have builded here, and here, and here could ever hope to help us. Heck, you may even get to turn your own weird experiences into blockbuster movie and portrayed by Clooney – now that would be well weird. 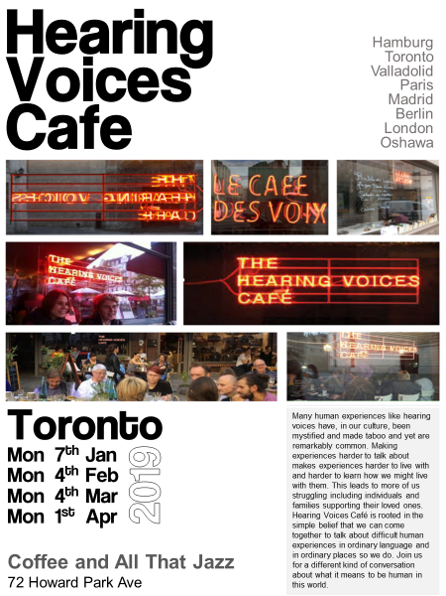 This entry was posted in hearing voices, Ideas and tagged George Clooney, hearing voices, space, TIFF, Toronto, voice, Weird. Bookmark the permalink.